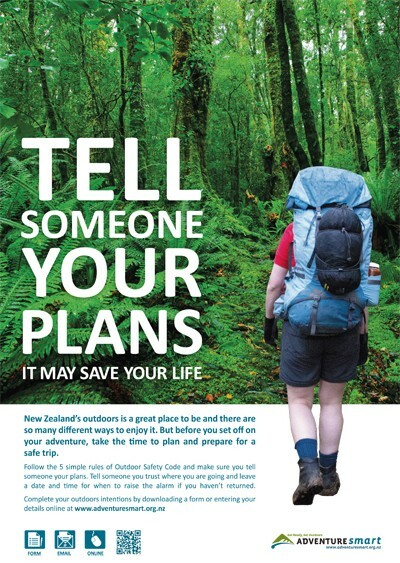 Search & Rescues (SAR), are always an un-welcome part of living and working in Arthur's Pass. It is a small community and it is certainly not enjoyable to pull bodies from the National Park, and still quite stressful, however gratifying, to recover people alive. You should have logged your intentions with someone you trust and at any Hut on your route. and by letting your trusted person know you are safe at the very first opportunity, so a SAR can be stood down before it gets escalated. Go to a house, property, the road, but sign out! you can assist by providing as much information as possible when you tell someone your plans. ENJOY YOUR TIME IN THE HILLS, BUT DON'T BECOME A HEADLINE!